The lightest 2 seater plastic canoe in our range, the Enigma Nimrod 14 is a superb little Canadian canoe whether you paddle tandem or just need a solo canoe with the option to sometimes take a friend. 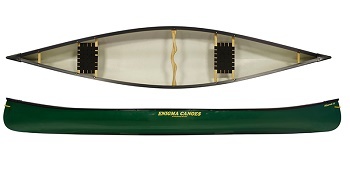 The design of the Enigma Nimrod 14 Canadian canoe really does give you the versatility of a lightweight, plastic open canoe that's equally at home whether paddled by 2 people or just on a solo outing. 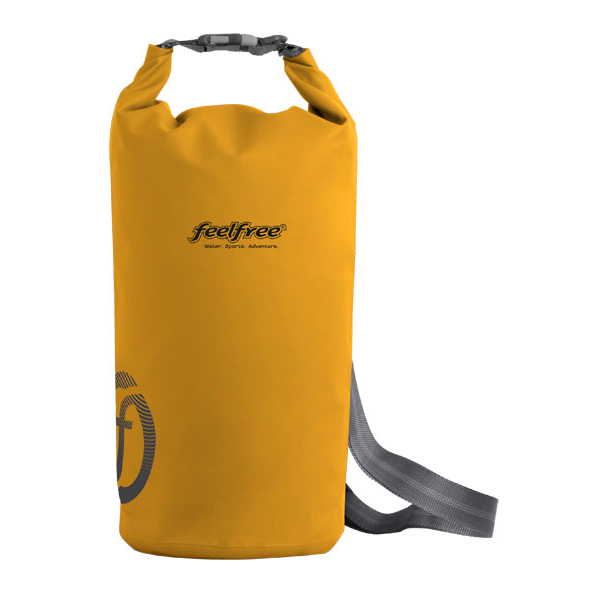 It's the lightest tandem open canoe in our range and as such if you are on your own most of the time, it's still an easy canoe to lift on and off a car roofrack and get to or from the water. However, the extra seat does give you the ability to take a friend whenever you like. 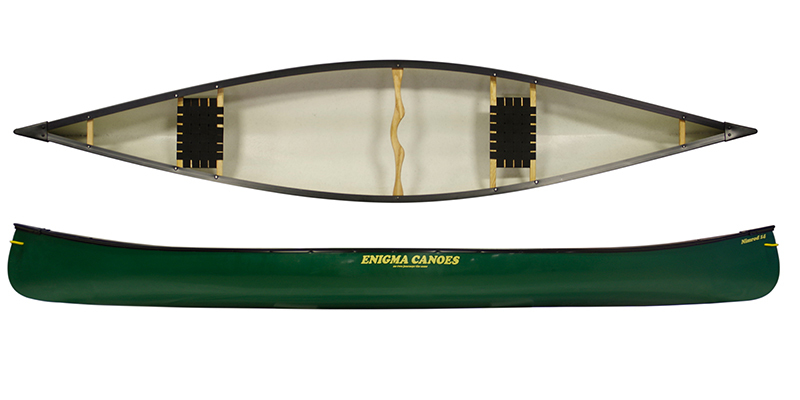 The Enigma Nimrod 14 might be a brand new canoe but its' design comes from the old Mobile Adventure Ontario designed by Colin Broadway. All the Enigma canoes are made in the UK and have a great build quality and performance. The Enigma Nimrod 14 tracks straight and true with very little effort needed to propel it through the water. The low freeboard and tumblehome shape to the sides make this an excellent little canoe to paddle solo or tandem and easy to manoeuvre around our winding waterways. The Enigma Nimrod 14 canoe comes as standard with 2 quality ash wood and web seats, carrying yoke and thwart and has enough space for some overnight kit as well as 2 people. 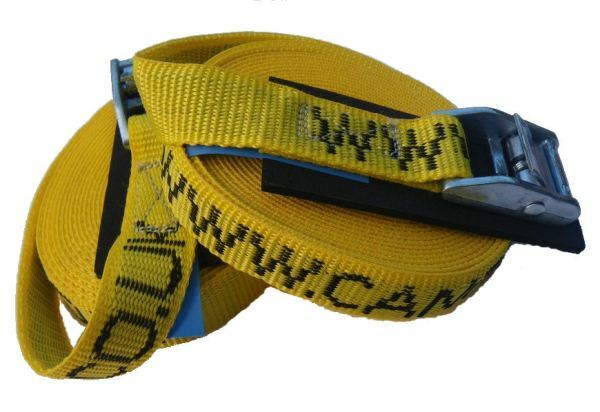 Really tough, simple to use pair of 5m Straps with a neoprene back to protect your canoe for tying down your Enigma Nimrod 14 to a car roofrack. 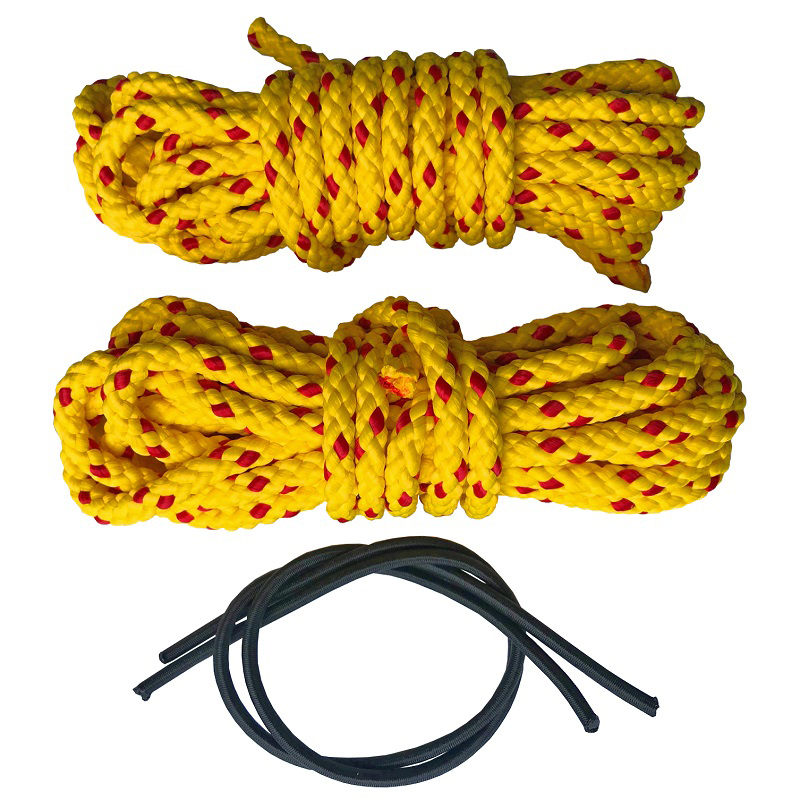 The Enigma Nimrod 14 is available for delivery thoughout England, Wales, Scotland, Northern Ireland & Ireland. The Enigma Nimrod 14 is available for instore collection from Norfolk Canoes or from any branch within the Canoe Shops Group.